Stan’s Obligatory Blog » Green House! 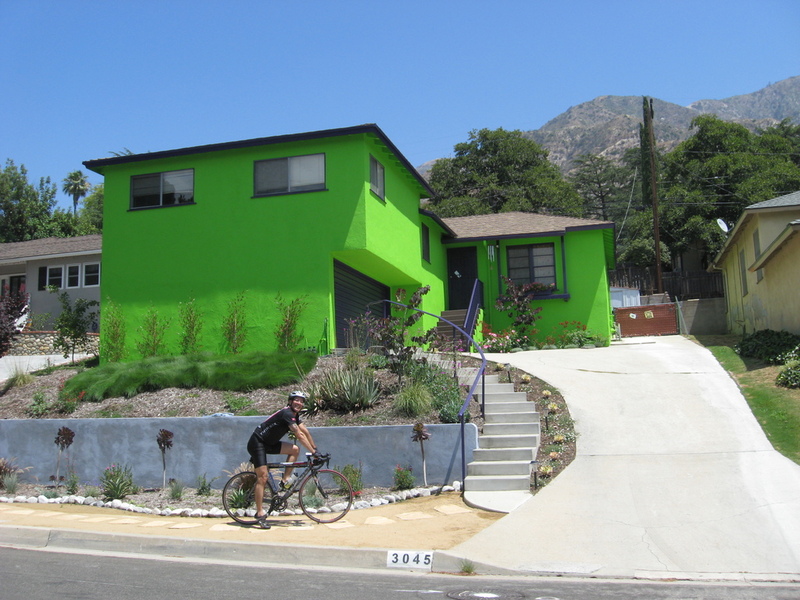 A couple weeks ago, the L.A. Times had an article about a house in La Crescenta. The owner had had it painted bright green, and the neighbors were all upset. Of course, I thought that this would make for a good sightseeing trip for the bike club. So today was the day. It was a perfect day for riding. The route was a variation on the “No Tuna” route through Sun Valley and Shadow Hills. We started out across Eagle Rock and Glendale, and took Kenneth most of the way to Burbank. 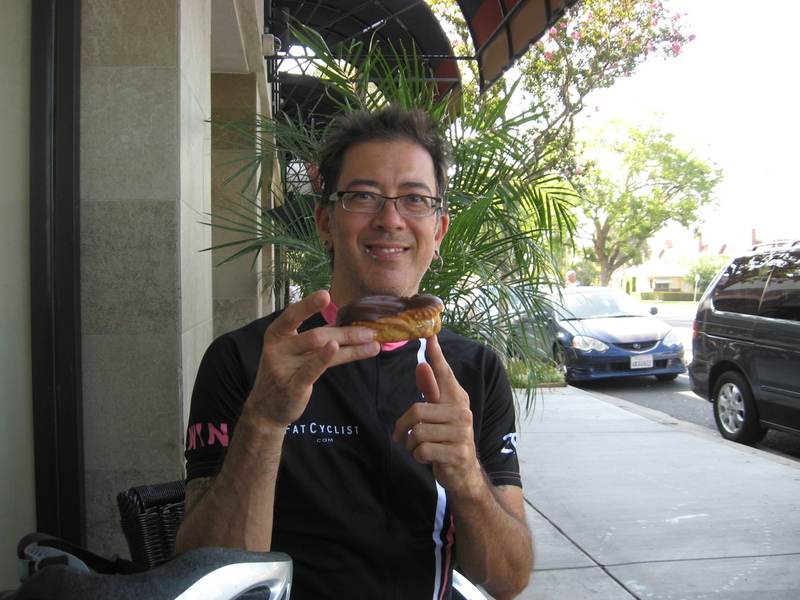 We had an early snack stop at Paradise Bakery in Glendale. Then we continued on, taking a short side trip to see the backyard pirate ship in Burbank. Then it was back to business, north on Glenoaks into Sun Valley. That was where Keira got a flat. But that didn’t stop us for long, and soon we were riding past the dump in Sun Valley. The wind was just right to bring us the stench of rotting garbage. Yum. I love L.A. 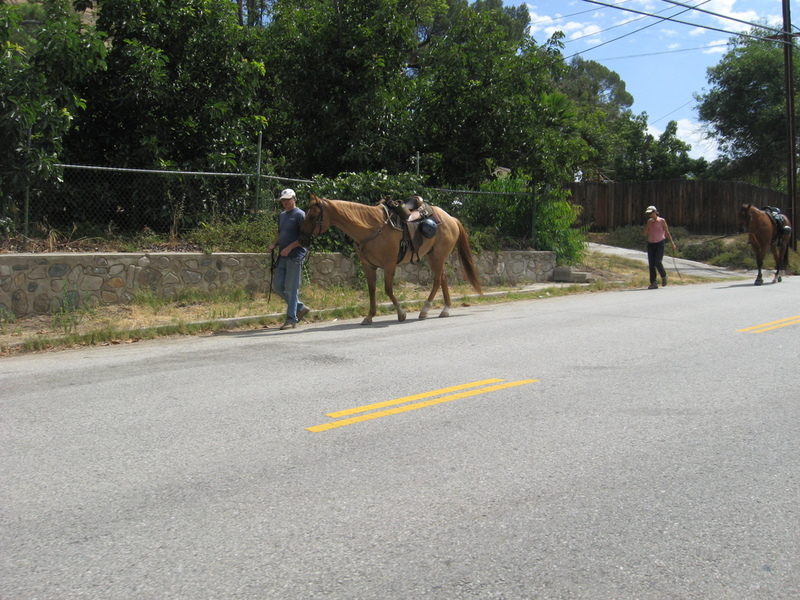 In Shadow Hills, we saw people riding horses. But sadly, Lorenzo the Llama is not there any more. In Tujunga, we started up the hill. We had to climb almost all the way up the hill to get to the Green House. But when we got to the top, there it was. Resplendent in its green-ness. I started thinking about having mint ice cream when I got home. I heard someone else talking about having lime sherbet. I think it’s funny that they neighbors are upset about this house. Along the way, a car passed us with a bumper sticker that said, “Freedom is Not Free”. But it seems that the essence of freedom is that in order for you to have freedom to do as you wish, others have to have it, too. Including being able to paint their house bright green. After seeing the house, we got treated to a very long downhill. 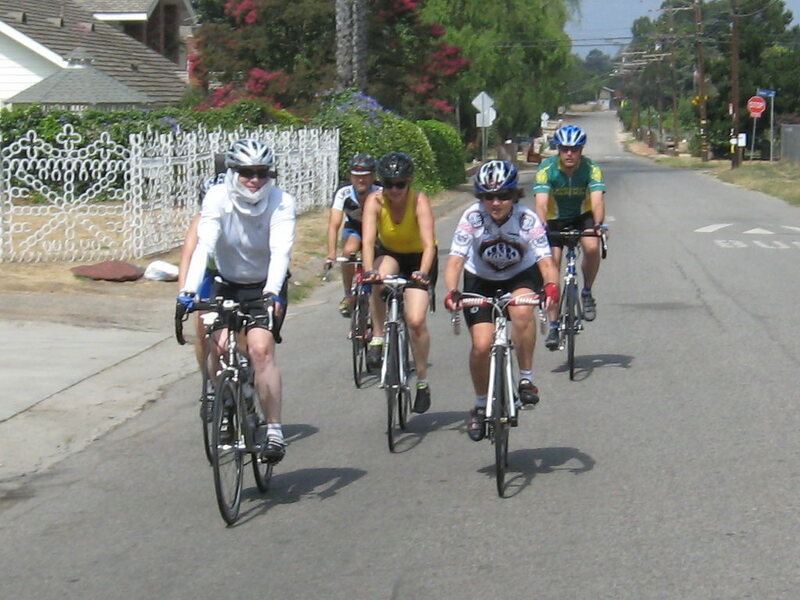 Then we rode home by way of Altadena. It was a nice ride.